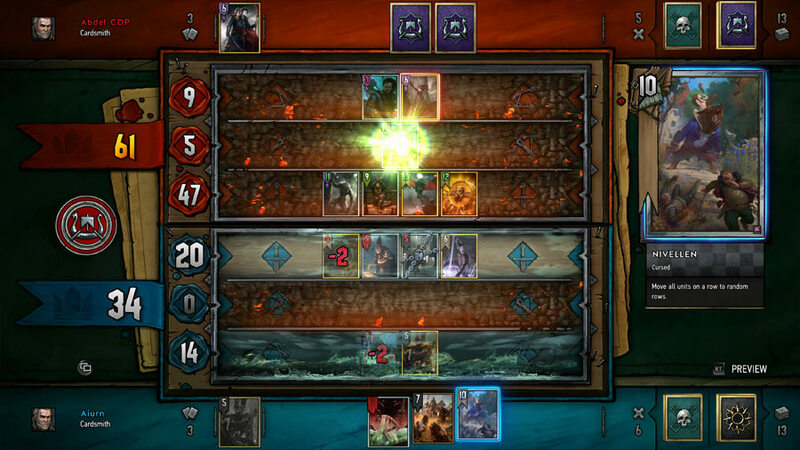 Back in August 2018, we had learned that what was originally going to be the single-player campaign for Gwent would become a separate title that would be released in Q4 2018. Now, we know when Thronebreaker: The Witcher Tales will hit consoles. It will come to the PlayStation 4 and Xbox One on December 4, 2018, following the game’s PC release on October 23, 2018. Thronebreaker: The Witcher Tales will still focus on war-veteran queen Meve. Holding influence over the Northern Realms of Lyria and Rivia, she soon finds herself entangled in war again, as she attempts to stop a Nilfgaardian invasion. Thronebreaker: The Witcher will be a 30-hour RPG very obviously set in the universe of The Witcher. That’s not the only Gwent news! CD Projekt RED also announced that Gwent will officially leave beta following the end of its big Homecoming update. It will pretty much coincide with the Thronebreaker release, which means it is also coming out on October 23, 2018 for PCs and December 4, 2018 for consoles. Among the host of changes the upgrade brings is an updated visual style and progression system. Both Thronebreaker: The Witcher Tales and Gwent release on October 23, 2018 for PC and December 4, 2018 for the PS4 and Xbox One.